On The Brook offers stylish, accessible bed and breakfast accommodation in Bruton, Somerset. Ideal for couples or families, our tranquil setting provides the perfect location for a break. We are close to wedding venues, local attractions such as Bath, Stourhead, Longleat, the Bath & West showground, and the excellent schools in the area. Coombe Farm offers the ideal setting for a break - secluded and yet perfectly connected to the town and transport links. Our beautifully restored barns offer spacious and versatile accommodation. Their renovation has been carefully considered with accessibility in mind. Hazel Barn is the only fully accessible accommodation in the area. We are proud to welcome all. Staff are available on site 24 hours, every day. Top quality, super comfy mattress, luxurious Egyptian cotton linen, underfloor heating, free fibre WIFI, ample free parking on site are but a few of the many pleasures of staying with us. We want you to have a great night’s sleep with us and have chosen high quality mattresses with blackout blinds fitted throughout to ensure a really restful stay. Delicious home-cooked breakfast is served in our cafe from 9am. Tea, coffee, On The Brook apple juice (pressed from apples from our orchard), and a home made treat awaits your arrival! Ample parking is on site. Contact us on 01749 813048 for the best deals, to book, or enquire about special requirements. 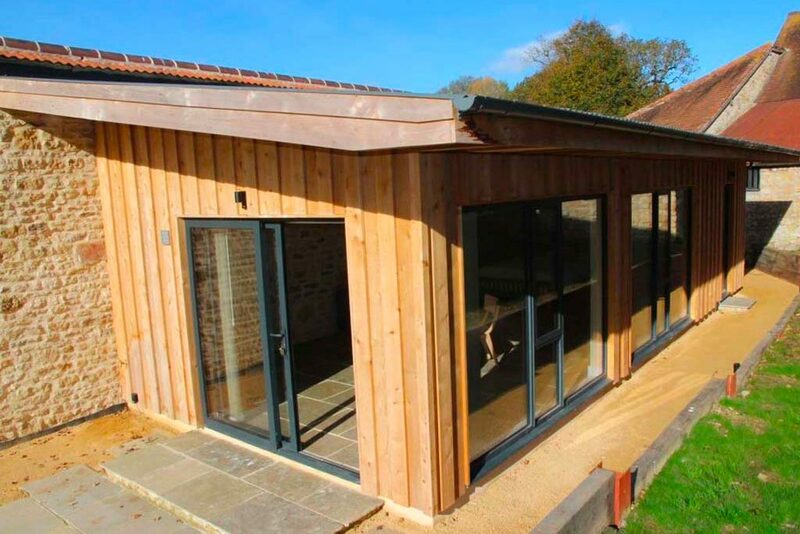 Ash Barn is a stylish studio barn conversion. 100% of our guests have given their stay with us a 5* rating. 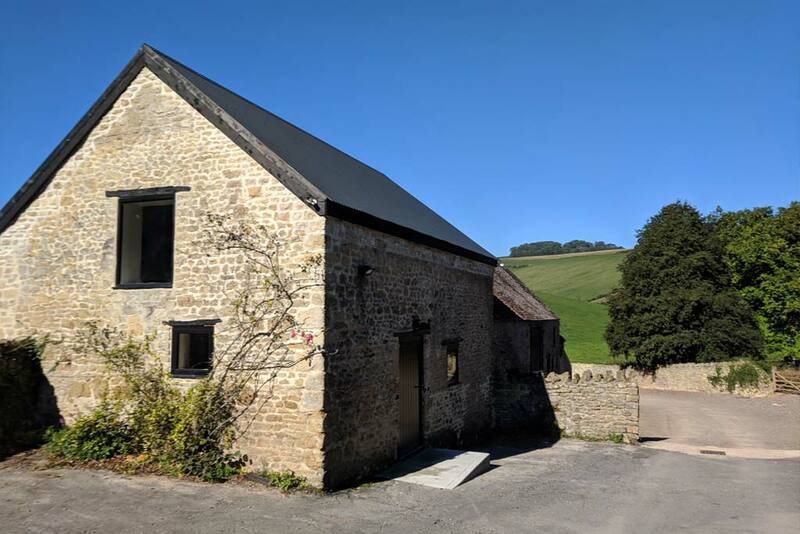 Hazel Barn is the only fully accessible accommodation in the area, and will be available from April 2019. We are taking bookings for the 2019 and 2020 wedding seasons. You can also visit us on Airbnb. Spacious studio accommodation with private patio. Suitable for a couple or family with young child.